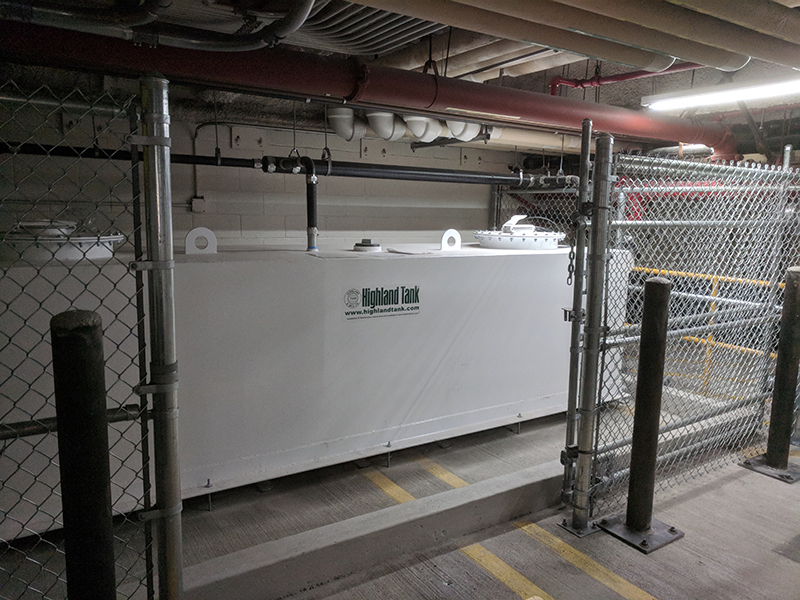 Highland Tank’s Automatic Grease Interceptors have been utilized in many sports stadiums and arenas. The EPA's Report to Congress on sanitary sewer overflows identifies that grease is the most common cause of blockages. 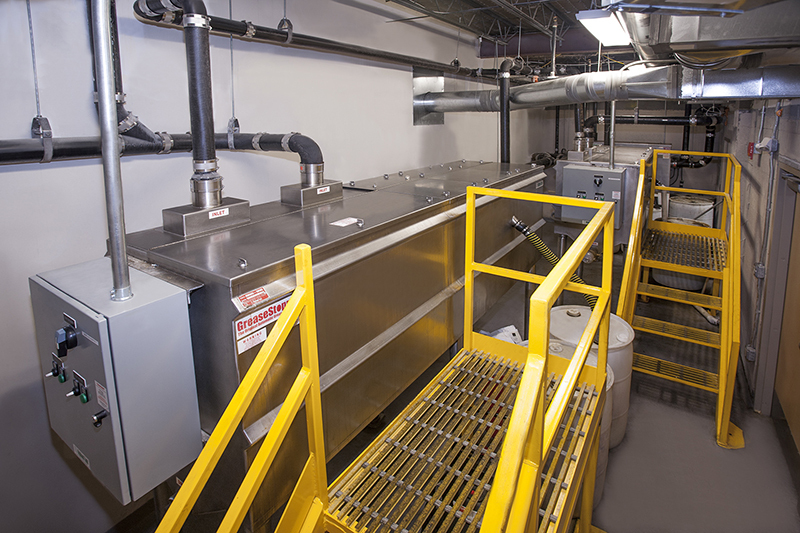 The National Pretreatment Program provides authority to state and local publicly owned treatment works to reduce or eliminate sanitary sewer overflows. One method of enforcement is effluent quality. With the "GREEN" movement, the use of retention/detention, first flush technology and rainwater harvesting has become more widespread to reduce the environmental impact of development and population growth, especially in municipalities with finite water resources. 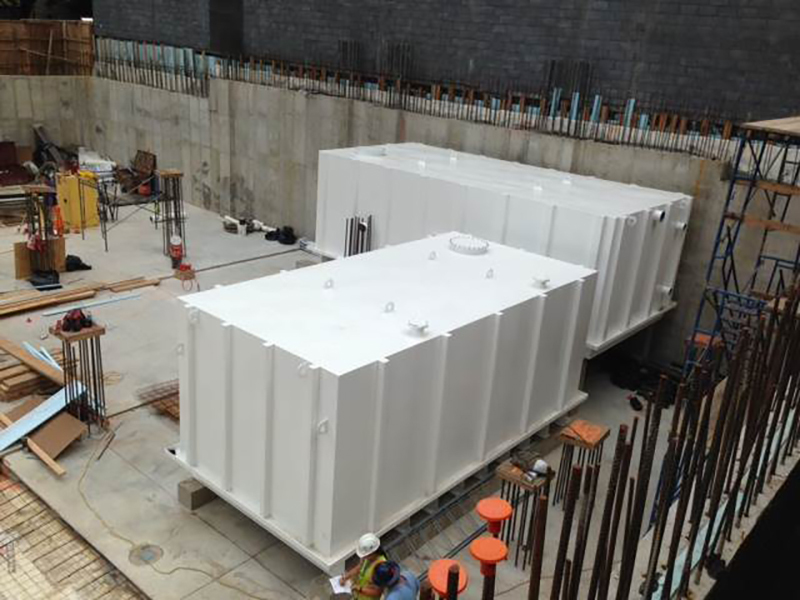 LEED architects, engineers and builders have long recognized Highland Tank's protected steel water tanks for their strength, durability and functionality. With the addition of our new HighDRO®-Pure systems, we are continuing our commitment to protect the environment and conserve our precious natural resources to benefit our world today and tomorrow. 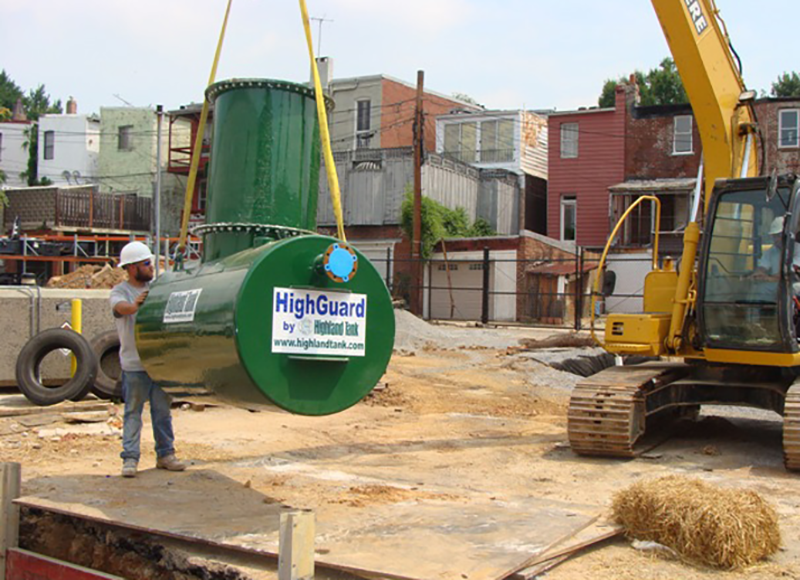 Highland Tank’s High-Quality HighDRO® Fire Water Storage Tanks — Don’t Get Burned! In many cases, fire protection water storage tanks provide the water necessary for fire suppression purposes inside the building, such as sprinkler and standpipe systems. Sometimes it is not possible to supply the required flow rate or volume of water for firefighting purposes from the public water supply. These circumstances call for the use of a fire water storage tank. 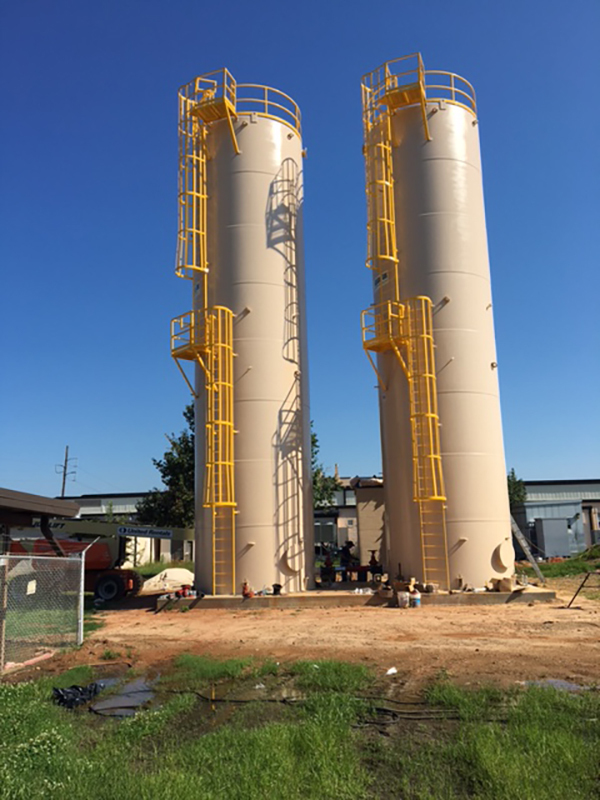 A recently completed auto care products manufacturing facility required a new wastewater treatment system and three new 10,000 gallon horizontal UL-142 double-wall aboveground petroleum/chemical storage tanks that would ensure full compliance with local, state, and federal regulations. 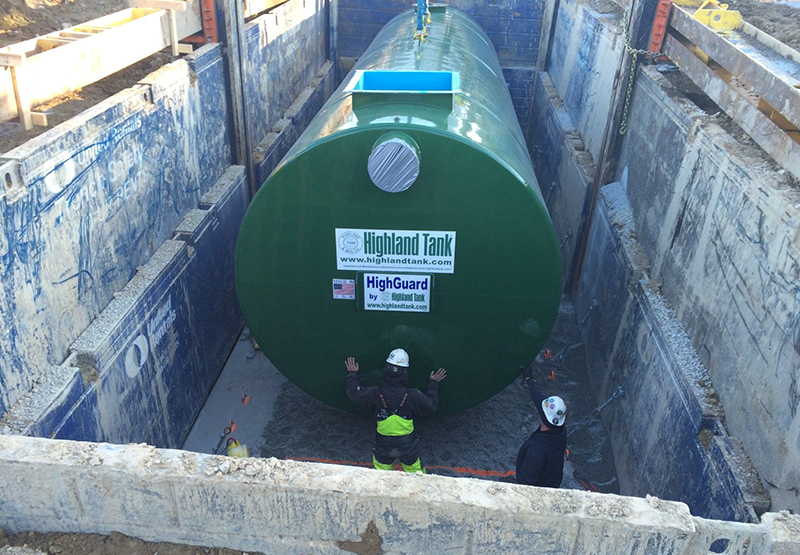 Highland Tankâ€™s team of sales and engineering professionals offered assistance throughout the design, manufacturing, and delivery phases of this exciting project. 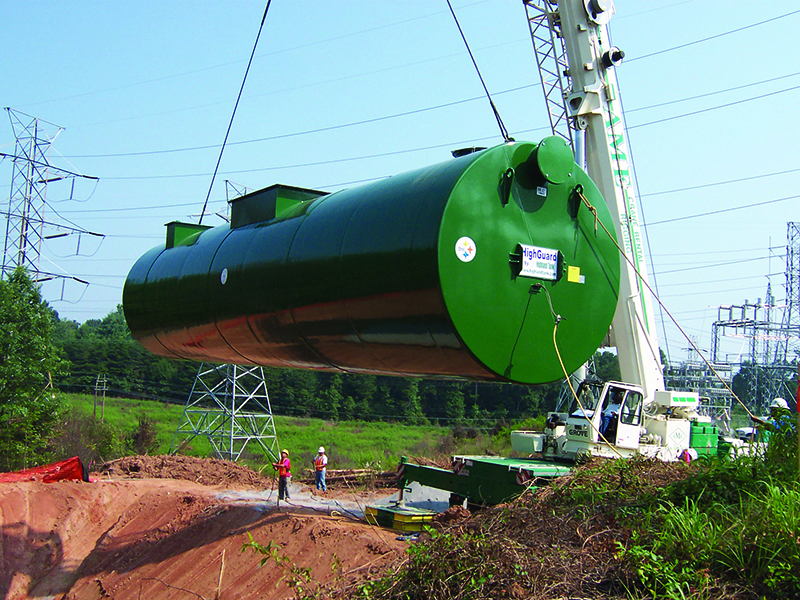 Highland Tank is the premier manufacturer of all types of grease interceptors. 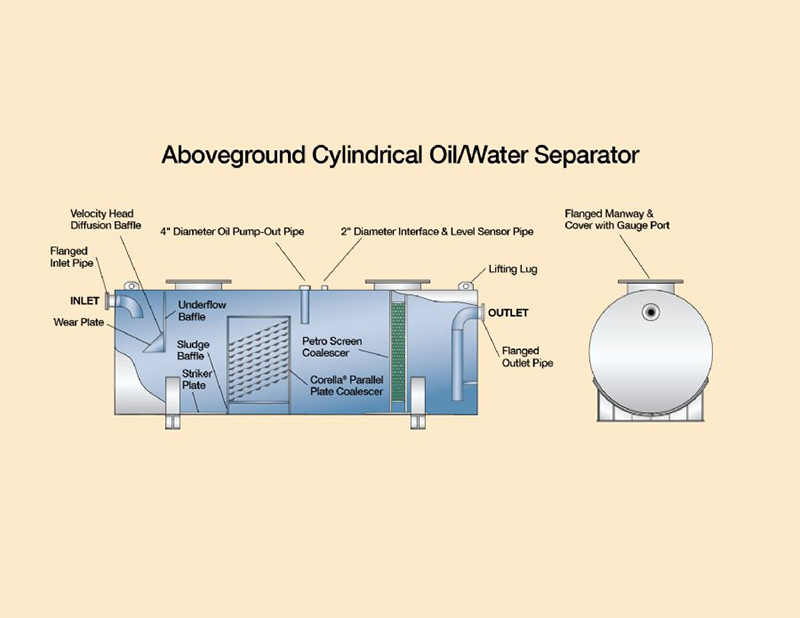 These include hydro-mechanical, passive grease interceptors, manual grease interceptors, and flush-with-floor models. Decontamination wastewater is wastewater generated as a result of decontamination activities performed at medical facilities that may contain CBRN substances. 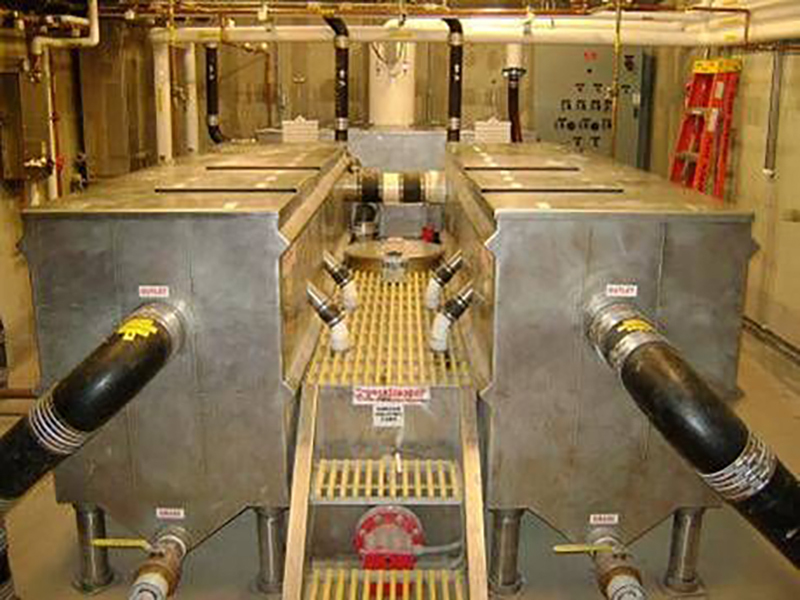 Decontamination tanks are holding and storage tanks for CBRN or HazMat Decontamination at military, healthcare, first responder, and industrial facilities.